For glamorous, long-distance travel in the 1930s, there was nothing to quite match the grandeur of the Flying Boat. Whilst ocean steam liners and plush sleeper train cars have their charms, surely no other travel vessel can beat the Pan Am Clipper Class. 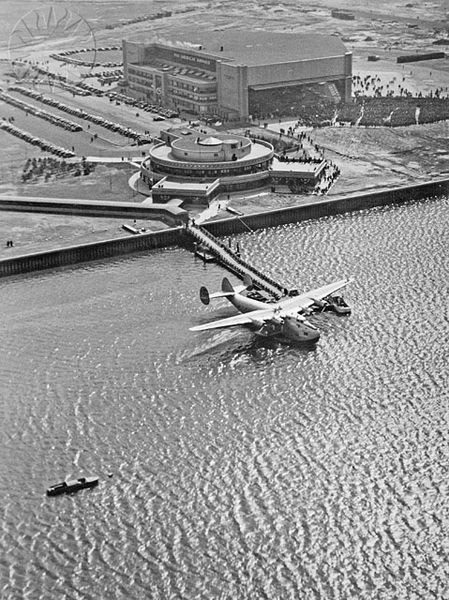 These sleek, hulking seaplanes were the ultimate luxury– flying and floating five star hotels, roughly the size of a modern, commercial jet plane. 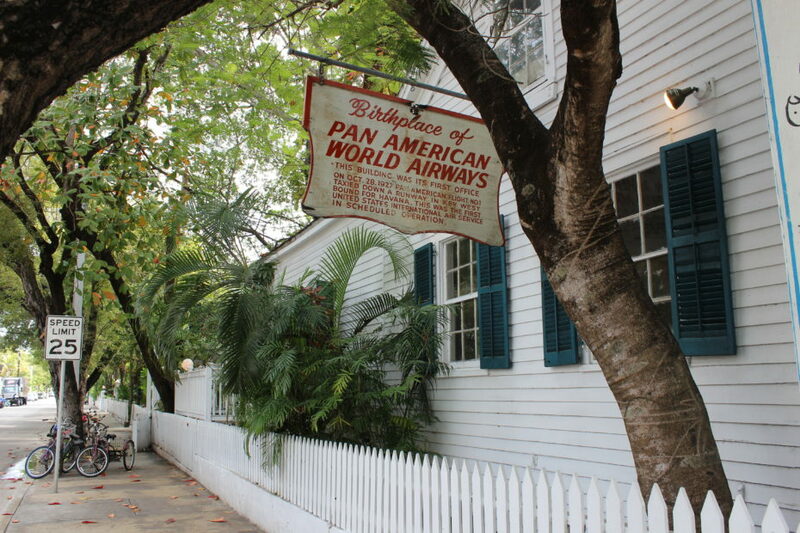 Pan American Airways System had been perfecting its international air service since 1927, when Pan Am Flight Number 1 first left Key West for Havana. 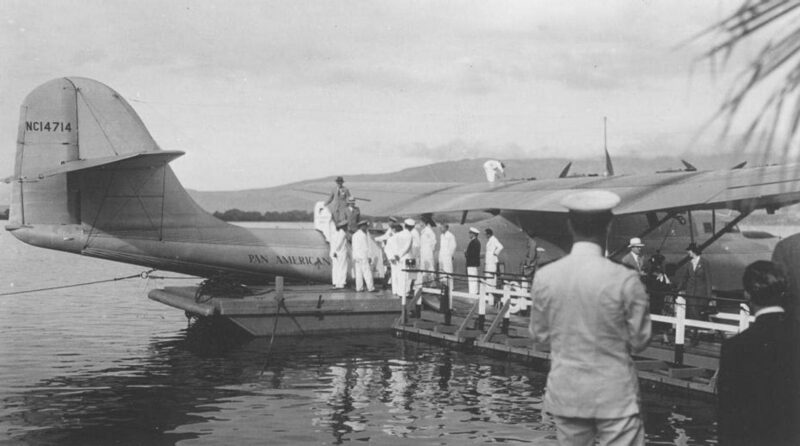 Longer routes and systems were developed and honed by seaplane throughout Latin America. 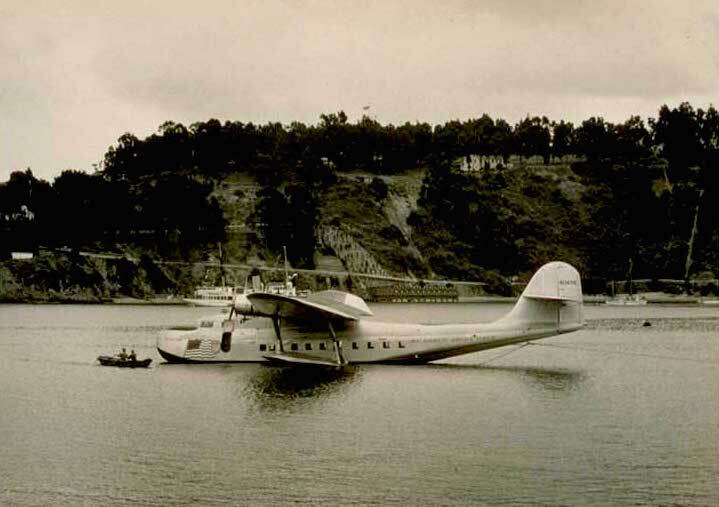 These early flying boats were capable of around a dozen to twenty passengers, and could only manage distances near 1,000 miles before having to refuel. 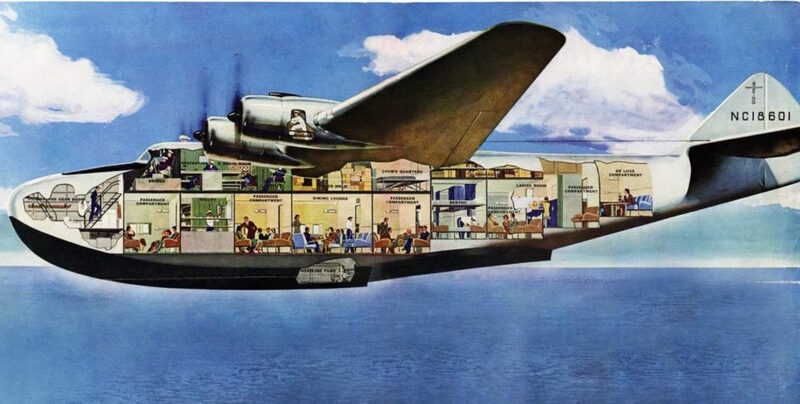 But it was with the advent of Boeing’s giant 314 Clipper Class in the late 1930s that saw the advent of the romantic era of the first trans-ocean flights. 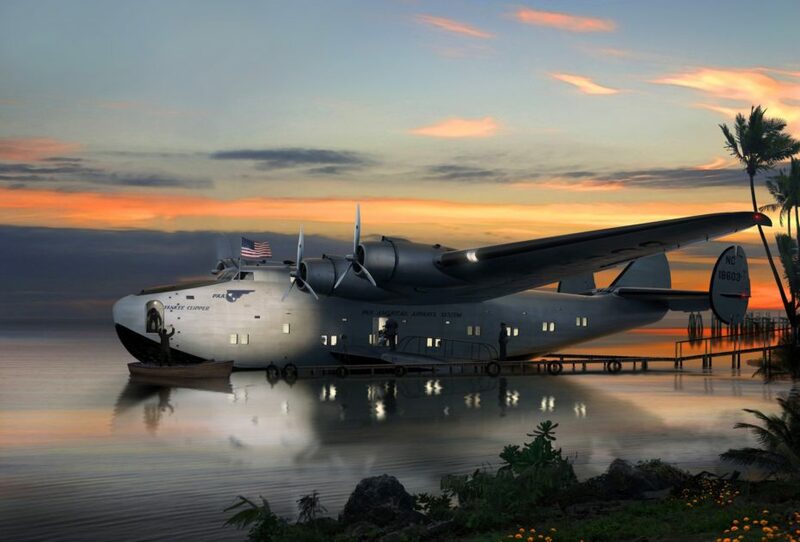 Capable of comfortably flying 74 passengers and 10 crew to distances of up to 3,500 miles, these luxurious flying fortresses captured the adventure seeker’s imagination. 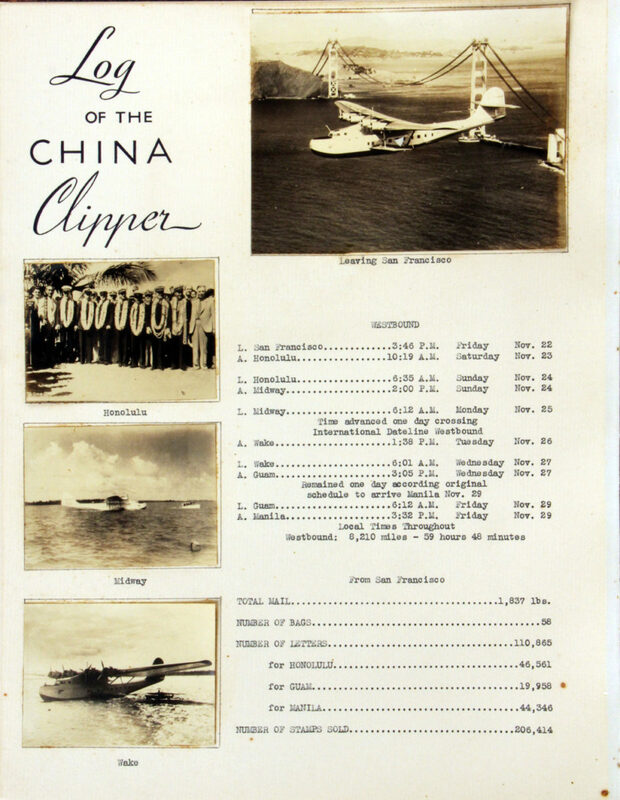 With names such as the Yankee Clipper, the China Clipper and the Dixie, they swiftly replaced ocean liners which took weeks to travel to places that the Pan Am Clippers could reach overnight. 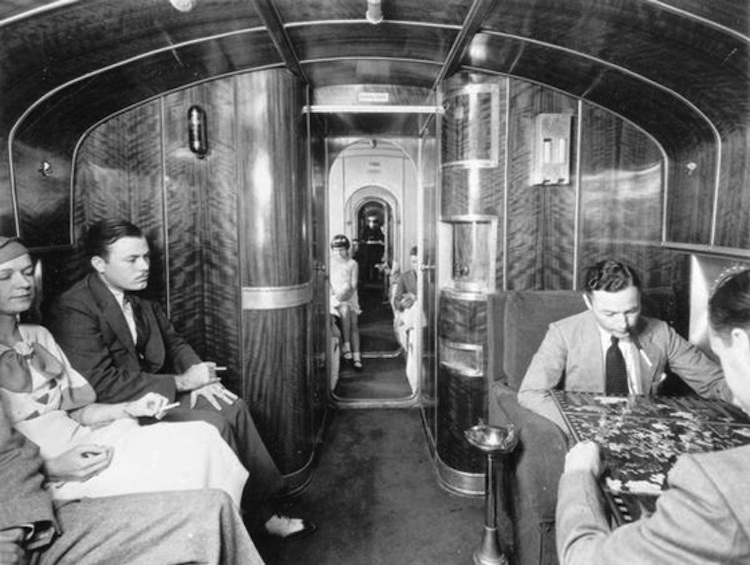 The Clippers were divided into spacious cabins, with couches rather than airplane seats. 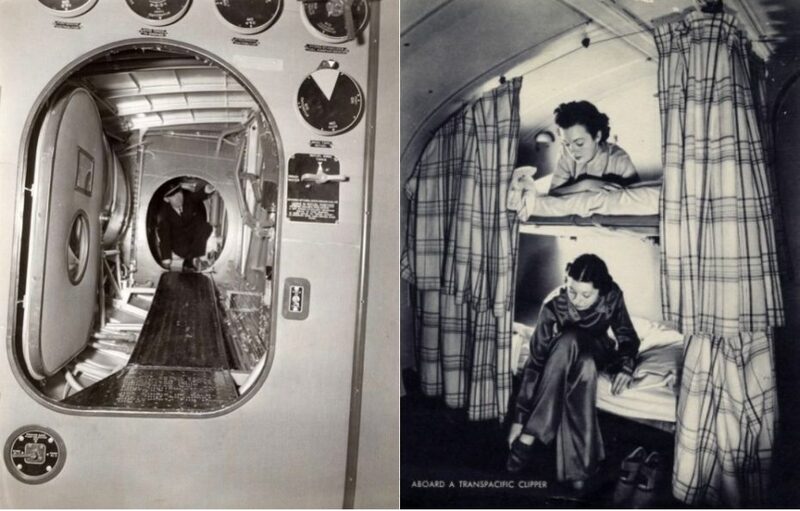 These passenger compartments would transform at night into deluxe sleeper cabins. There was a dining salon, dressing rooms, and separate bathrooms for men and women. 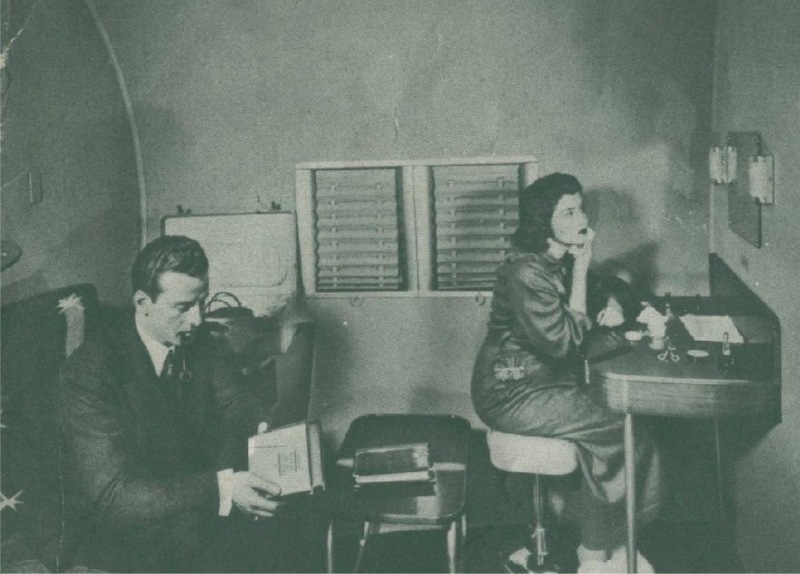 There was even a honeymoon suite located towards the rear of the plane. 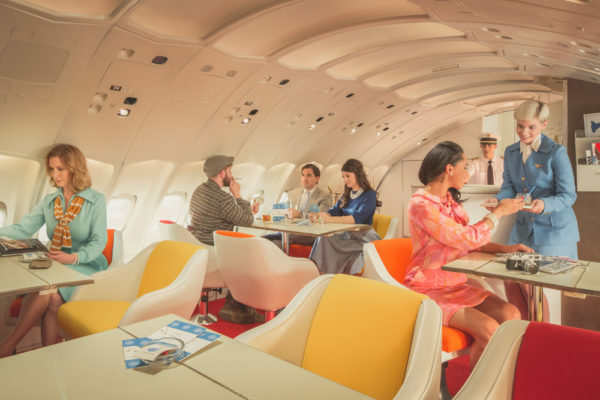 Whilst today’s commercial aircraft squeeze passengers into about six square feet, on a Pan Am Clipper, each passenger could luxuriate in twenty-two; six course dinners were served on fine china, and the only tickets sold were First Class. In May 1939, the first Pan Am Boeing 314, the Yankee Clipper, took off from the sleepy town of Port Washington, on Long Island’s north shore, in a test flight, carrying the first scheduled mail service across the Atlantic. The next afternoon, she landed in Lisbon, with over 110,000 commemorative letters and four dozen, fresh marigolds for Queen Mary of Britain. This was only an astonishing dozen years after Charles Lindbergh had made the first solo, perilous flight across the Atlantic. 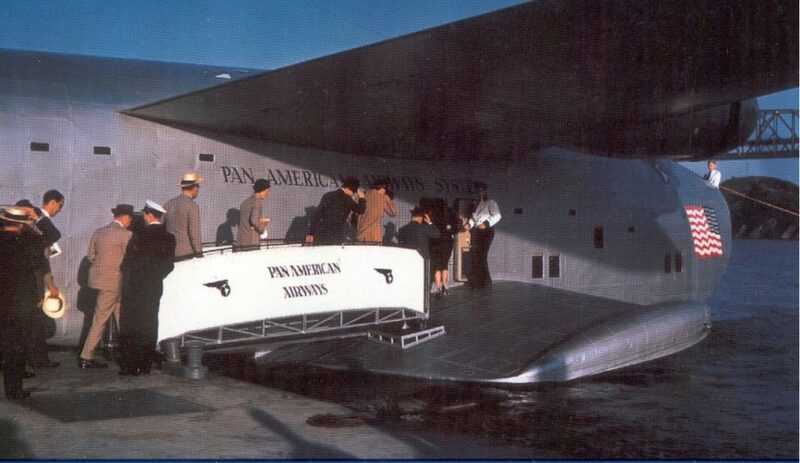 Pan Am’s first passenger service started a month later. On June 28th, 1939, the Dixie Clipper left New York bound for Europe. 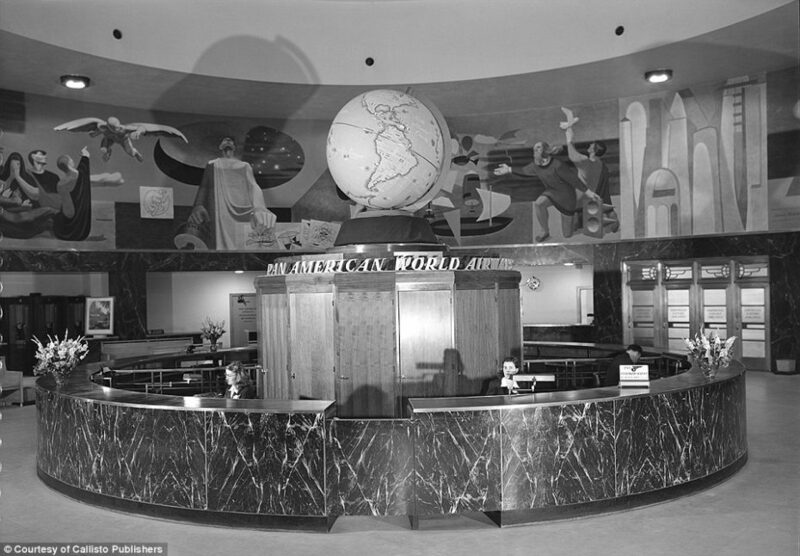 The first paying customer of the modern commercial flight era was a railway tycoon called William Eck, who Pan Am presented with a silver cigarette case. 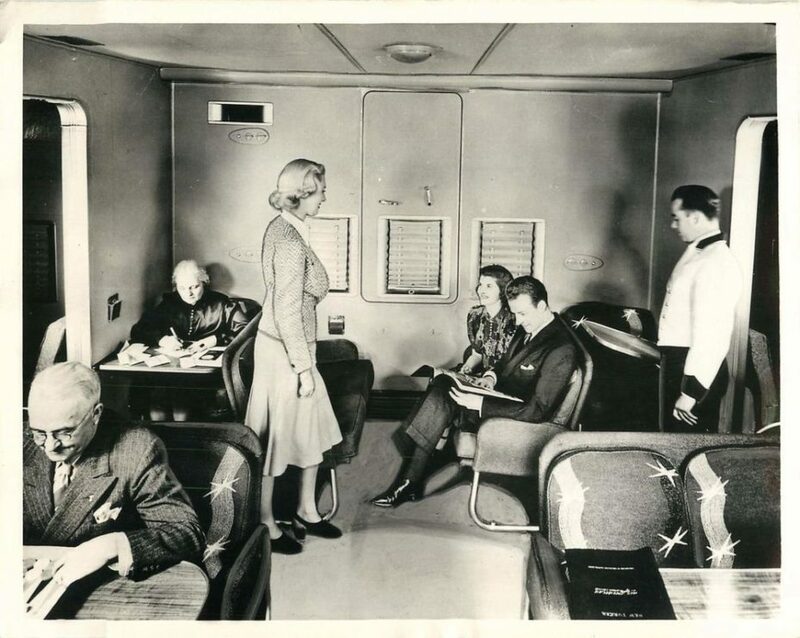 Pan Am’s Clipper Service soon became the height of fashion for wealthy travelers, flying across the Atlantic and Pacific, to such exotic destinations as the South of France, the Azores, Honolulu and China. 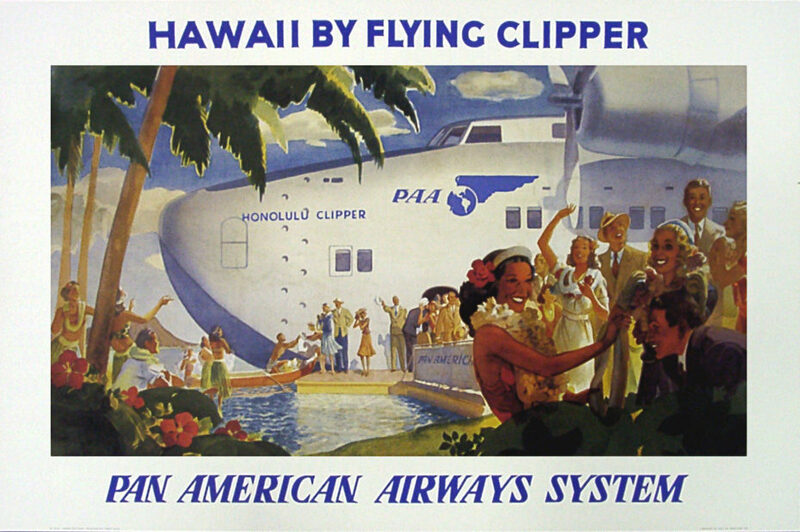 Pan Am had originally ordered six Clippers from Boeing, but their success saw another half dozen ordered. 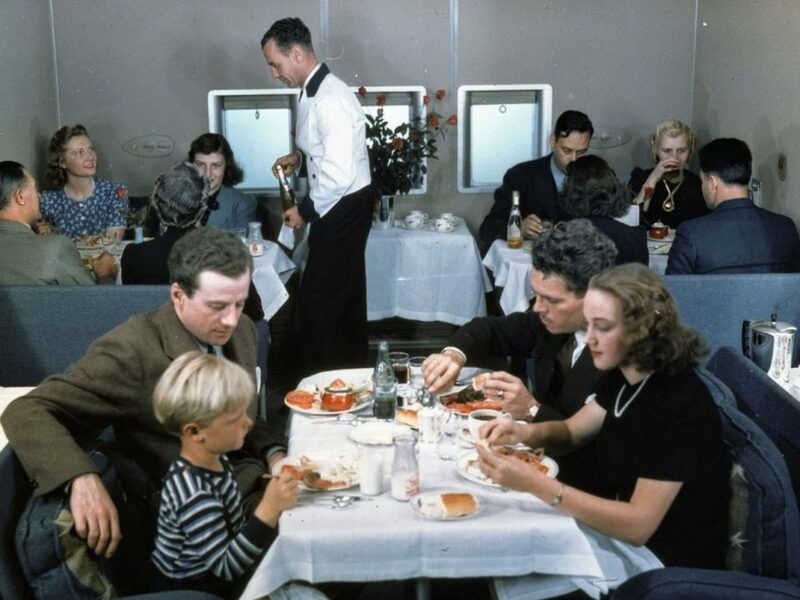 Tickets were highly expensive for the time; a one way ticket from San Francisco to Hong Kong would set you back $760 in 1939 (over $13,000 today). But despite being largely reserved for the rich and famous, the seaplanes are so evocative of the bygone era, that today, it’s hard to imagine a vintage travel poster without a Flying Clipper in it, soaring above a distant island. 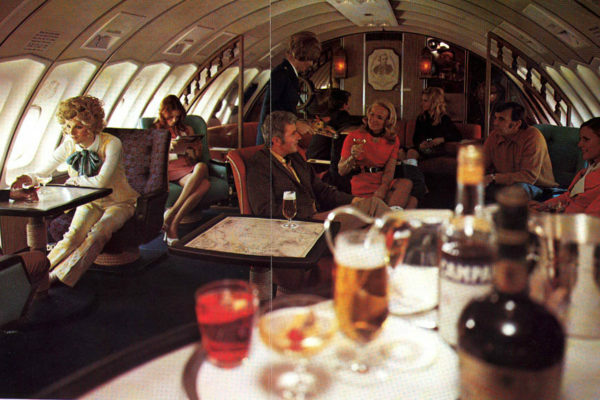 Sadly the era of the Pan Am Clipper was all too brief. World War II saw the giant Boeings pressed into service, transporting troops and supplies. By the war’s end, advances in aircraft design saw more planes capable of extended flying ranges, and more airports with runways long enough for them to land on. 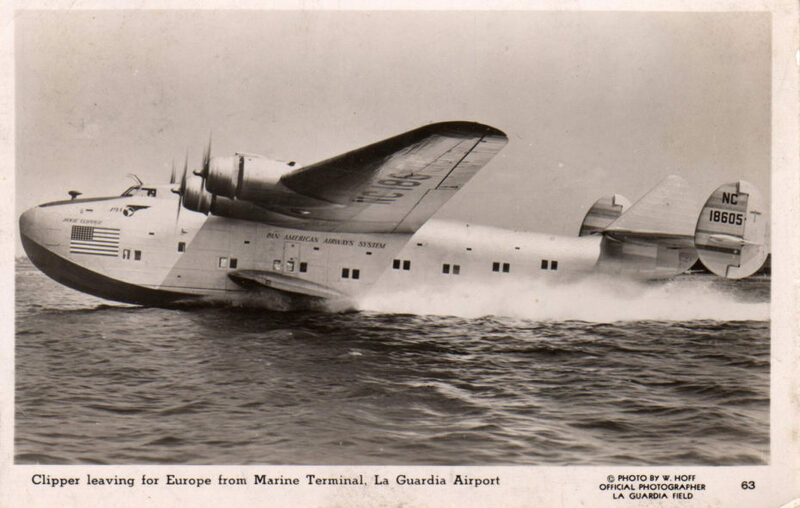 The advantages offered by a flying boat which needed no runway, all but disappeared. Ten of Pan Am’s Clippers were scrapped, whilst two fell foul of accidents, and currently lie at the bottom of the Atlantic Ocean and the South Pacific. But there is one place where one can still experience at least a small taste of the glamour of the Clipper Plane, – at New York’s La Guardia airport. 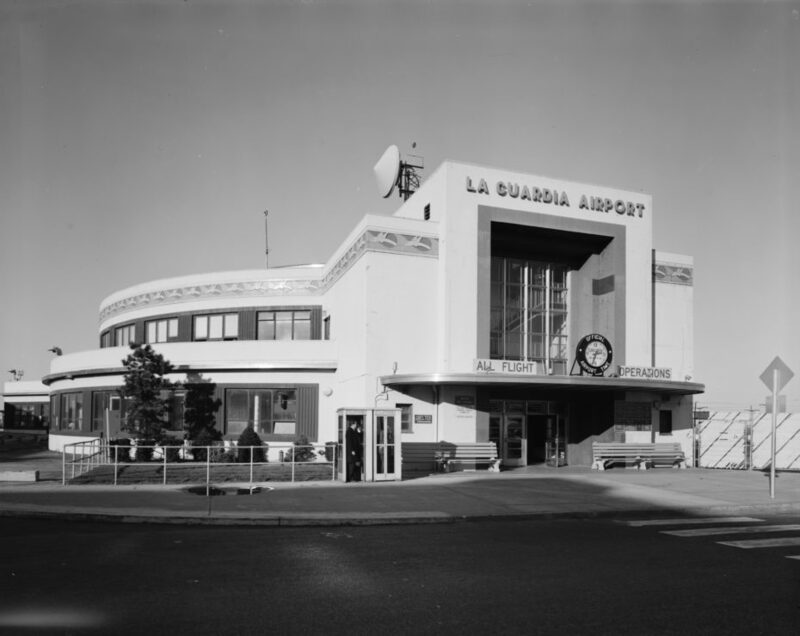 Located a few miles away from the main airport itself, is a small, beautiful Art Deco terminal, situated right by the water. The small Marine Terminal still has its original departure lounge, a restaurant and bar, and is decorated with one of the finest and largest WPA murals ever undertaken. 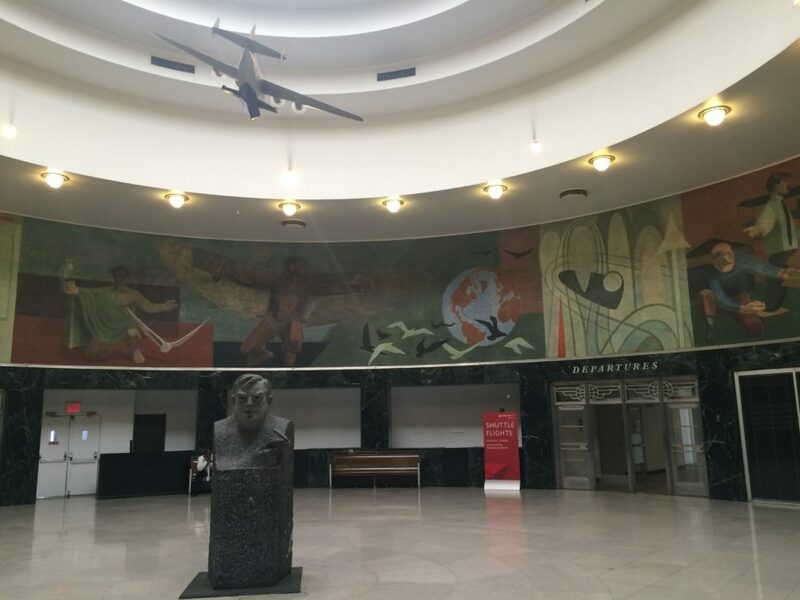 James Brook’s vast mural, wrapping around the terminal’s main waiting room and ticket office, depicts the history of flight. 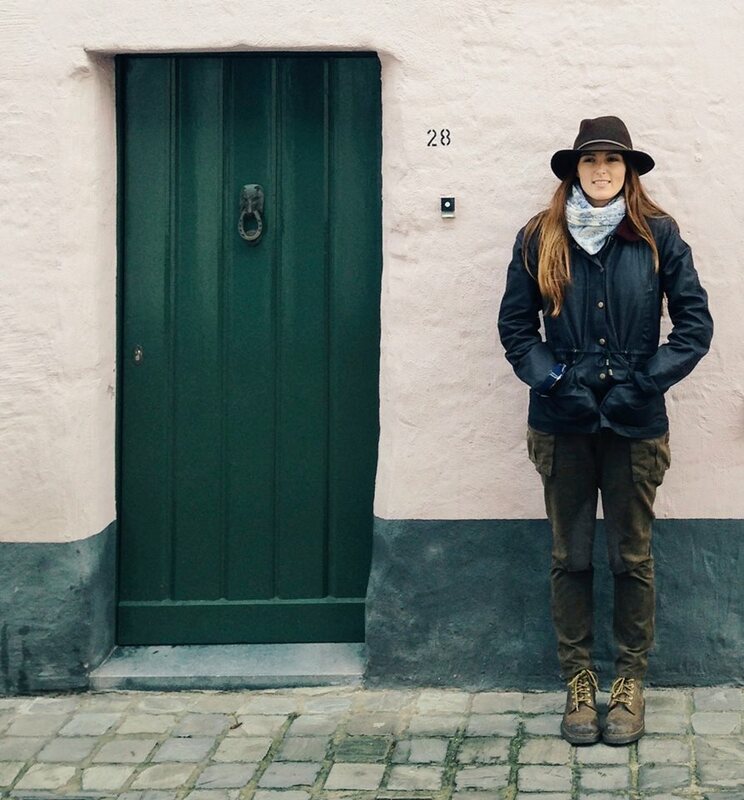 This is where the glamorous and wealthy travelers would have picked up their tickets, checked their luggage, and walked out to the gangplank to begin their trans-ocean adventures. 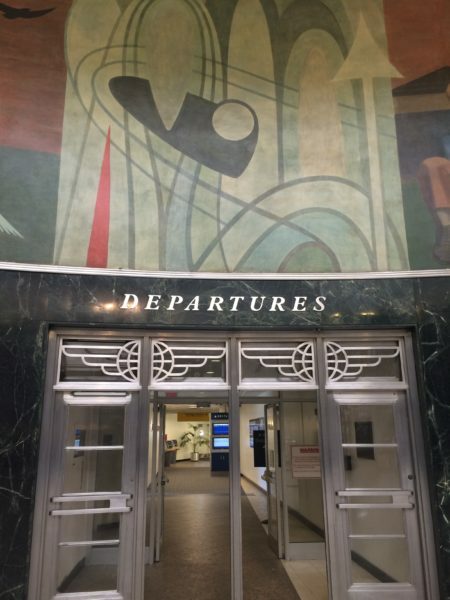 The era of the luxury Flying Clippers has long since gone, like Pan Am itself; the small Art Deco terminal is all that remains of what was once, the most glorious way imaginable to see the world.